Collecting delinquent assessments remains one of the more challenging and frustrating aspects of a homeowners association’s (“HOA’s”) operations. Once a delinquent file is forwarded to a HOA’s collection company or law firm, industry practice has been to reject any partial payments made by the delinquent homeowner (i.e., to reject any payments that do not cover all of the delinquent assessment amount, including late fees, interest, collection costs, etc.) that have accrued on the homeowner’s account. That approach has been based upon the language set forth in Civil Code Sections 5655 and 5720. Civil Code Section 5720 allows for a HOA to foreclose on a delinquent assessment lien only where the delinquent assessment amount is $1,800 or greater, or are more than 12 months delinquent. Civil Code Section 5655, however, sets forth the way in payments made by a delinquent homeowner must be allocated (i.e., first to the delinquent assessment amount, then to collection fees, late charges, etc.). Accordingly, if a homeowner is allowed to make a series of partial payments that must first be applied to the delinquent assessment amount, the homeowner could structure a way in which to avoid foreclosure of his property (i.e., through keeping the delinquent assessment amount under $1,800 or under 12 months delinquent), while not paying all or any of the amounts necessary to cover the HOA’s collection fees and costs it has incurred in connection with the homeowner’s delinquency. This would ultimately place the HOA in a difficult position of having to incur more collection fees and costs solely to collect the unpaid collection fees and costs which the HOA has already incurred. Thus, collection companies and firms have traditionally rejected partial payments in order to avoid this problem–especially in light of the absence of any language in the Civil Code explicitly requiring HOAs to accept partial payments. If the homeowner desires to provide partial payments, the only opportunity to do so would be pursuant to a payment plan executed between the homeowner and the HOA. In Huntington Continental Townhouse Association, Inc. v. Miner (“HCTA”), the Defendant homeowner (Miner) was delinquent in his assessments and an Assessment Lien had been recorded against his separate interest. A lawsuit was filed by the Plaintiff HOA to foreclose on the Assessment Lien. During this time, Miner submitted a $3,500.00 partial payment, which was returned to Miner by legal counsel for the HOA because the payment made was not pursuant to an approved payment plan. The Court concluded that, under Civil Code Section 5655(a), an HOA must accept a partial payment by a homeowner and said payment must be applied in the order prescribed under Section 5655, notwithstanding the fact that a payment plan had not been established. This is true even when an assessment lien has been recorded against the defaulting homeowner’s separate interest. The Court reasoned that, “[b]y creating an order of allocation, section 5655(a), in effect, recognizes a payment might not cover the full amount of the delinquency and other charges.” Thus, “the plain language of section 5655(a) unambiguously permits partial payments.” Moreover, the inclusion of the word “shall” in section 5655(a) creates a mandatory obligation to accept any payment made towards the delinquent assessment debt; “an association does not have the discretion to refuse to follow the statute’s mandate.” Finally, the terms of section 5655(a) does not require payments to be made pursuant to a payment plan. Thus, a HOA may not foreclose upon an assessment lien unless the delinquent assessments secured by the lien are more than twelve (12) months delinquent, or greater than or equal to $1,800.00. 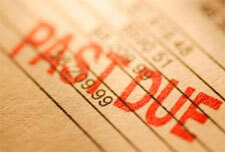 The assessments secured by the lien do not include collection costs. A HOA is therefore prevented from recovering collection costs through foreclosure proceedings if the homeowner’s partial payments have either paid off the assessment portion of the assessment lien, or reduced the assessment debt below the aforesaid threshold. As discussed above, in order to preserve the HOA’s ability to foreclose on an assessment lien, many HOAs, management companies, law firms, and assessment collection companies have historically declined to accept partial payments without first executing a written payment plan. The execution of a plan ensures compliance (i.e., payment-in-full) by providing the HOA with the ability to move forward with its foreclosure efforts in the event the homeowner defaults under the plan. Nevertheless, the HCTA decision undermines this approach by requiring a HOA to accept a partial payment without the execution of a plan. Thus, a homeowner may make payments to a HOA for delinquent assessments while declining to execute a plan, thereby removing the HOA’s ability to foreclose on the assessment lien in the event that the homeowner ceases making payments once the delinquent assessments have been paid off, or reduced below the $1,800.00 threshold. If this occurs, the HOA will likely be required to file an action in small claims court solely to recover its collection costs, or wait the prescribed one year before foreclosing upon the remaining delinquent assessment balance. The HTCA case, along with a string of other recent assessment collection cases, illustrate the need for HOA Boards and management professionals to rely upon the advice and assistance of qualified legal counsel in their assessment collection efforts. Blog content provided by Tinnelly Law Group attorneys Matthew Plaxton and Steve Tinnelly.